Hawai'i Craftsmen's call for works "in, of, or about fiber" elicited about 150 entries made from diverse materials, including wood, clay, glass, and here, in a piece by Irina Razuvan, neoprene. The Fiber Hawai'i 2016 exhibition continues through September 10, at the Honolulu Museum of Art School in the ground floor gallery. Don't miss a show of local Manga artist upstairs in the mezzanine. C. Uebelein, Boho Bicycletta, mixed media. The top appears to be paper mache, with bicycle fenders hanging from the chain below. 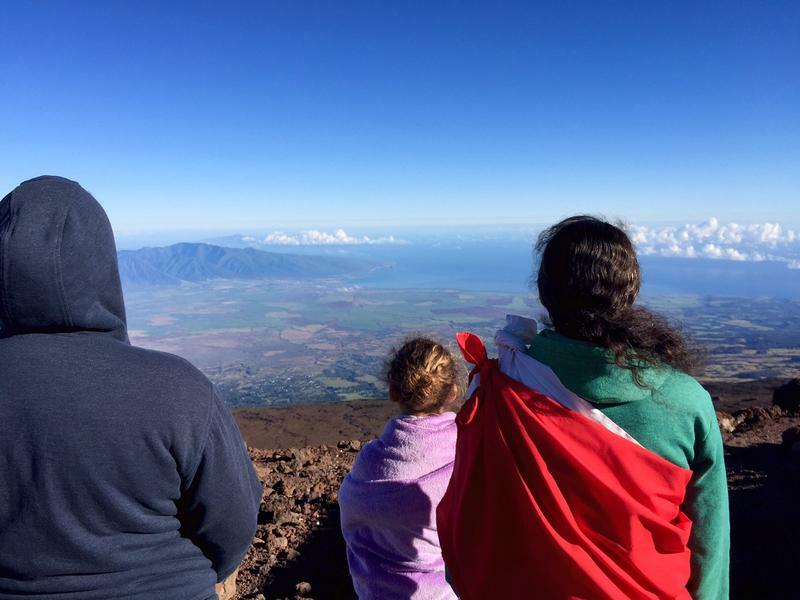 In Hawai‘i we just don’t do things the way everybody else does. We actually give a wave, thanks! when we change lanes. We let people cut in to improve the whole flow. We hold the door for those behind us and yes, we do still smile at strangers on the street. In the world of textile art, HPR’s Noe Tanigawa found that, we’re doing it again, forging an impressively inclusive fiber art show of our own. 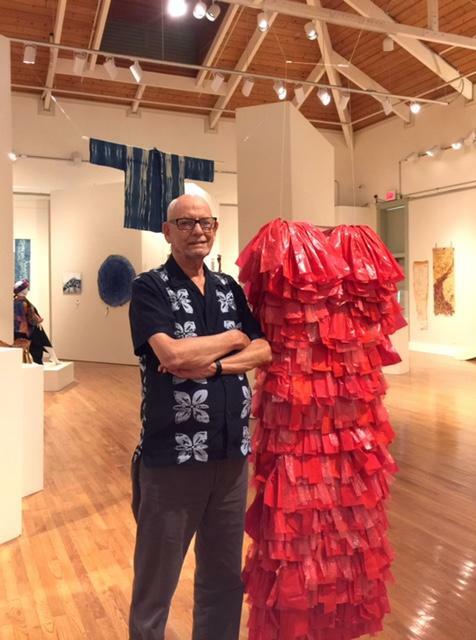 A chat with fabric artist, educator, Glen Kaufman, juror for the 2016 Fiber Hawai'i exhibition at the Honolulu Museum of Art School. 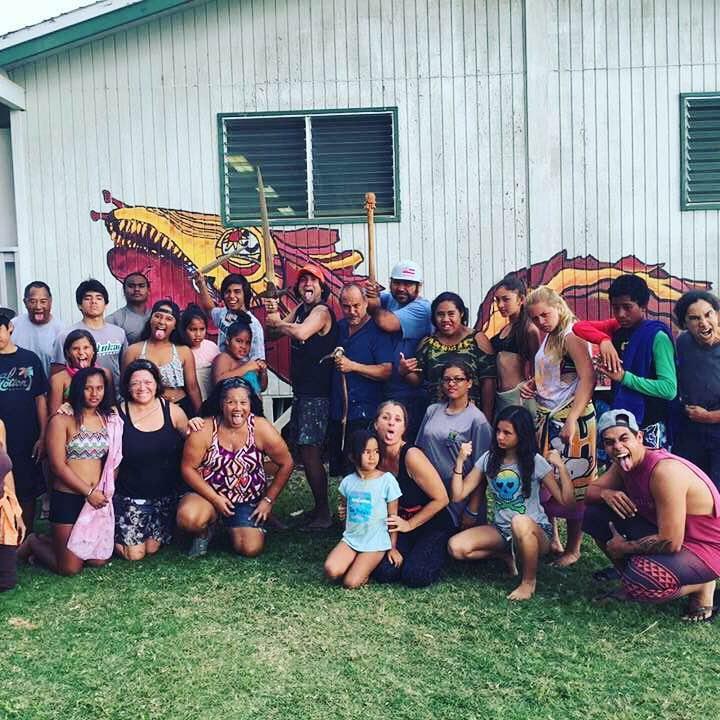 Glen Kaufman, Juror for "In, Of or About Fiber," Fiber Hawai'i's 2016 statewide exhibition. To Kaufman's right, an example of his best known work, "Kaunakes: Ghosts of Mesopotamia," based on stone representations of an ancient garment. The full piece involves fifty pieces like this in a room, animated by a butoh dancer. The Fiber Hawai‘i show continues at the Honolulu Museum of Art School through September 10. 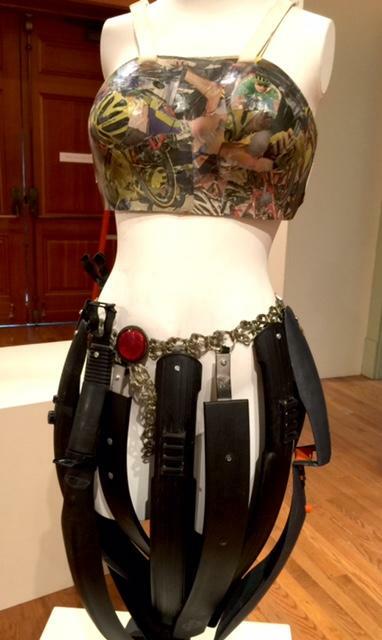 A wearable art fashion show begins at 7 tonight, Tuesday, August 23, 2016, as part of opening festivities. Meet the artists and enjoy a walk through the gallery with Glen Kaufman at 5, then the reception from 5:30 to 8 this evening. This exhibit features works “in, of or about” fiber art. Entrants may use any media as long as it incorporates a fiber or textile technique or sensibility. Woven glass, clay or wire, handmade paper, traditional weaving, batik, and fabric painting are some possible techniques that would be eligible. Approximately sixty works were chosen from about one hundred fifty entries. 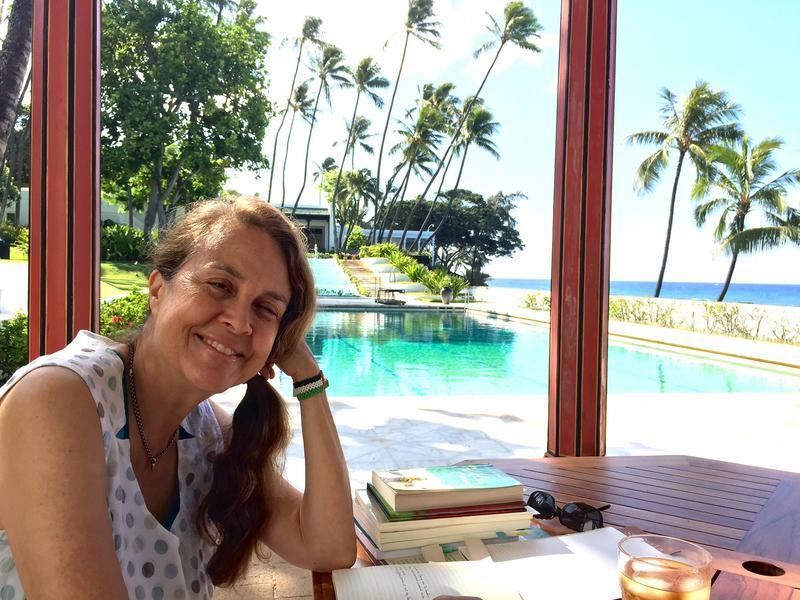 “I found this one a mind blowing use of library cards, from what I can figure out.” Glen Kaufman, artist, educator, authority on surface design, is the juror for this year’s Fiber Hawai‘i show. 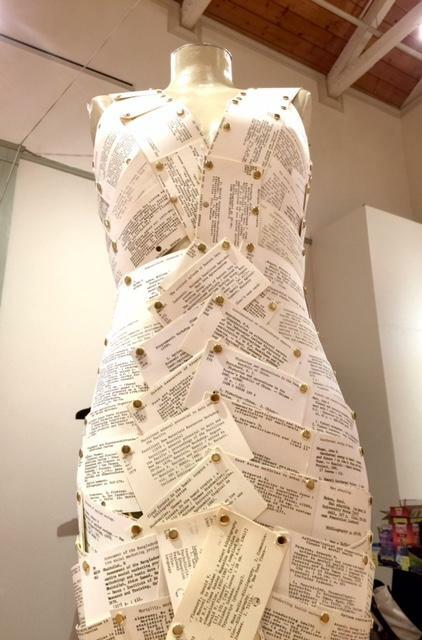 Sheanae Tam, Withdrawn, made of library cards, in the Fiber Hawai'i show through September 10, 2016 at the Honolulu Museum of Art School. Remember index cards? Go back, further, to the same size cards with author, title, publisher, the Dewey decimal system number, imagine these "library cards" held together in threes by a copper brad in a corner. Sheanae Tam bradded the cards together fto make a swanky designer gown, generally of the period when library cards and copper brads were in their hey day. 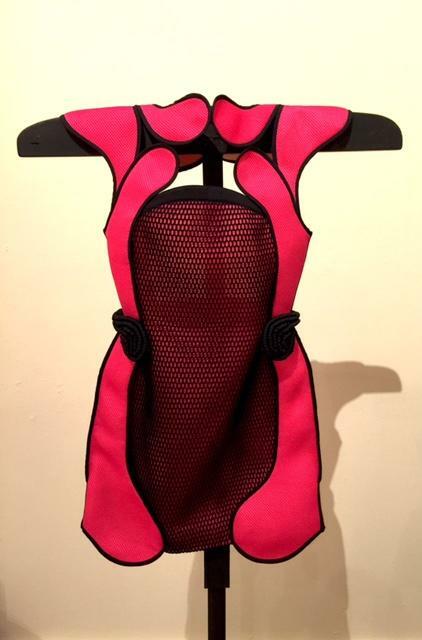 “This garment here with a combination of different fabrics and the really brilliant pink is also a kind of knock out.” Kaufman is motioning to a hot pink neoprene and scuba net superhero tunic made by Irina Razuvan. There will be a runway show at the opening by the way. The requirements for this show were only that, whatever medium, the work must simply suggest fiber. “Usually things are more closely defined as to what fiber should be. But I like this openness, I don’t know if it’s unique…” But it certainly makes for an interesting show. Here’s a piece of coconut trunk carved into a swooping bowl. Francisco Clemente, Coconut Dream III. 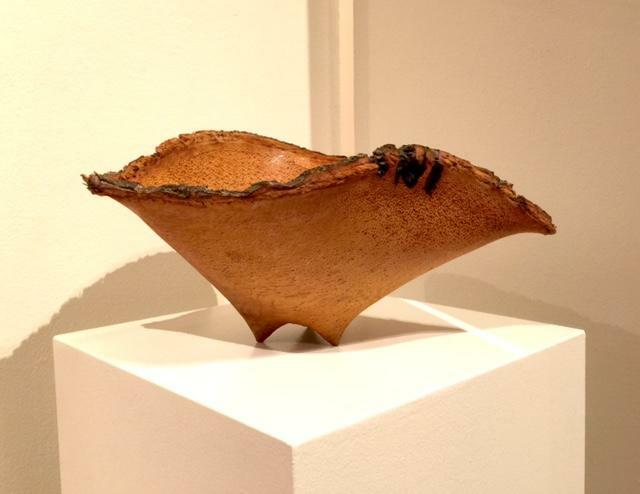 Kaufman said this wood piece recalls fabric in the billowing shape and the fibrous texture of bark, left along the rim. Perhaps Kaufman’s best known piece is based on stone sculptures of a Mesopotamian sheepskin garment from about 2500 BC. Kaufman’s piece, Kaunakes: Ghosts of Mesopotamia, consists of fifty garments made of bright red recycled plastic bags, and involves a butoh dancer animating the space. 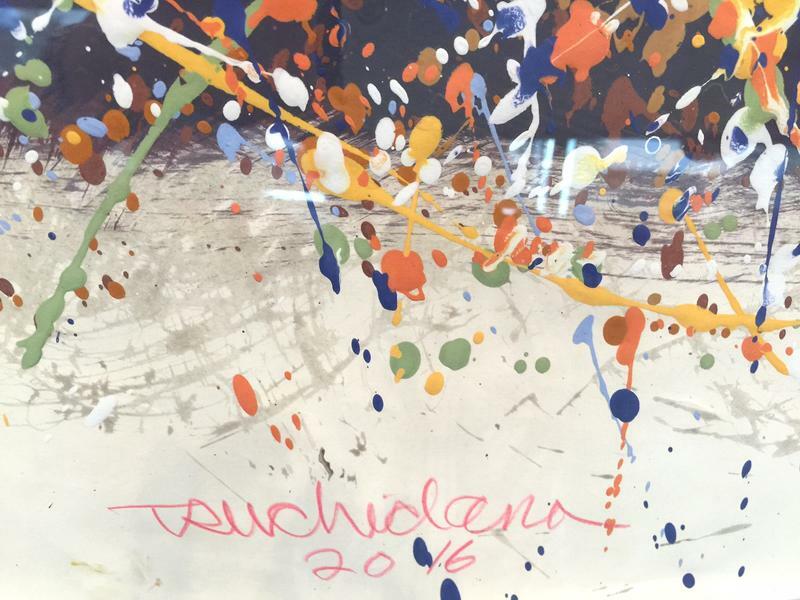 Juror Glen Kaufman saw an echo of windblown fabric in the decoration on this glass piece by Tonia Moreno. Kaufman described how fabric art is being displayed these days, not stretched tight over bars, but hung, draped or allowed to billow. 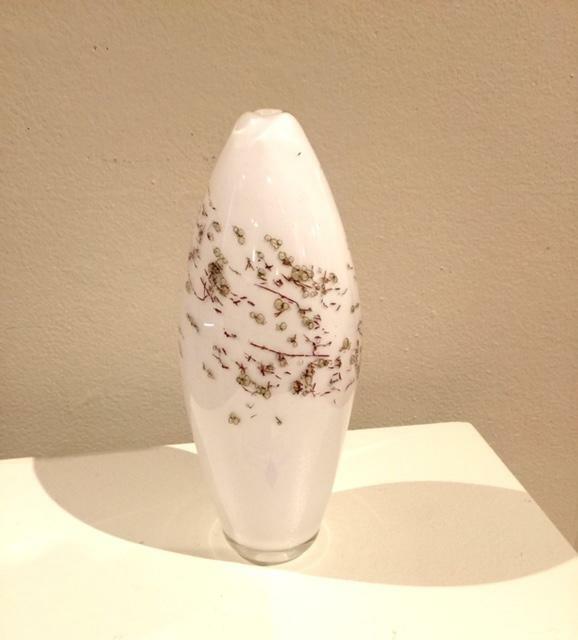 That’s what you can see at the Honolulu Museum of Art School through September 10, 2016, in glass, wood, clay, and yes, fiber! 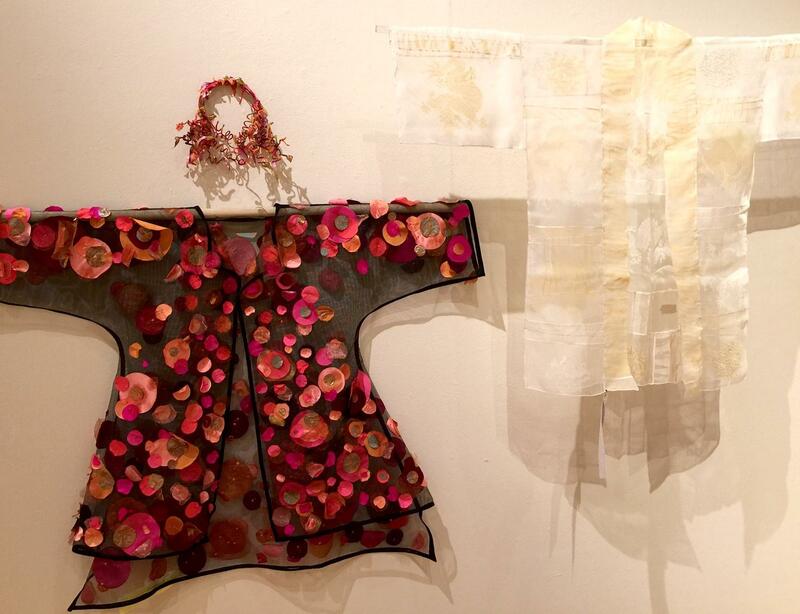 (l) Patricia Greene, Homage to Iris Apfel, and (r) Victoria Gail-White, Kimono of Lightness, in the Fiber Hawai'i exhibition, "in, of, or about Fiber." The exhibition continues thorugh September 10 at the Honolulu Museum of Art School in the main floor gallery. A fine exhibition of local Manga artists is upstairs in the mezzanine.